Welcome to Kinesis Physical Therapy Corp.
We are a trustworthy, dynamic, and progressive clinic for physical therapy in Grande Prairie and Beaverlodge that offers evidence-based, client-centred approaches to treatment for all types of musculoskeletal (bone, joint and muscle) injuries and conditions. Our approach to treatment includes a combination of manual therapy (hands on), progressive exercise, and extensive self-management education to achieve optimal outcomes. We also offer concussion rehabilitation services as well as the treatment of TMJ (jaw) dysfunction. Kinesis Physical Therapy is a professional, locally-owned-and-operated private practice. We invite you to explore our website to discover how we will get you moving. The knowledge and qualifications of our team ensure our approaches to treatment will be innovative and focused on relieving your symptoms. All of the physical therapists on staff have taken additional courses on the relief of chronic jaw pain (TMJ dysfunction). Not only do we have a variety of tools and techniques available to us, we are open for evening appointments to easily fit into your schedule. We are trained to critically evaluate each patient from a physical, neurological and cognitive perspective. Our practice is family owned and operated with six physical therapists dedicated to patient care. At Kinesis Physical Therapy Corp, we treat anyone with pain, loss of mobility, or loss of overall musculoskeletal body function. Patients are male and female, and of all ages and abilities. We hope to reach out to anyone who may be in need of help with their new or chronic pain. We treat all orthopaedic conditions that result in a loss of function or mobility. Whether you are suffering from a recent injury, or if you are in need of relief from general chronic pain, we will try to help! Contact Kinesis Physical Therapy Corp today to book an appointment with a physical therapist. Caitlin did amazing work for me at the end of both my pregnancies! I highly recommended them!" 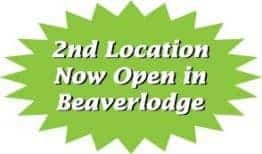 Call us today to schedule an appointment at our Beaverlodge location.